“We’re strong, independent women.” Netflix has just released the first trailer for season two of Unbreakable Kimmy Schmidt. In January, we reported that Netflix has renewed the comedy for a third season. Season two will continue to follow Kimmy (Ellie Kemper) as she gets her life on track after being rescued from an underground doomsday cult. Earlier, it was revealed that the new season would see Kimmy getting a new job and finding new love interests. 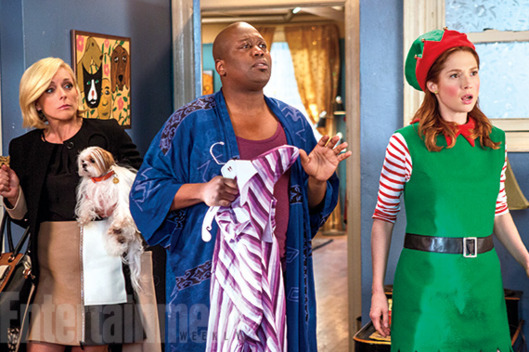 Series regulars Tituss Burgess and Jane Krakowski will also return. The new season of Unbreakable Kimmy Schmidt premieres on April 15th. What do you think? Are you a fan of Unbreakable Kimmy Schmidt? Will you watch season two? Unbreakable Kimmy Schmidt on Netflix: Cancelled or Renewed for Season Five?